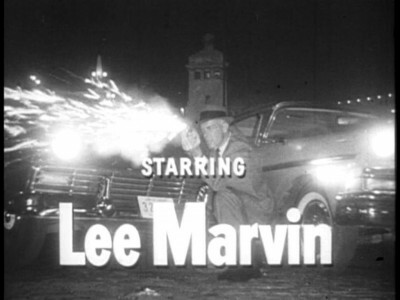 Here is a TV show that starred the great Lee Marvin! 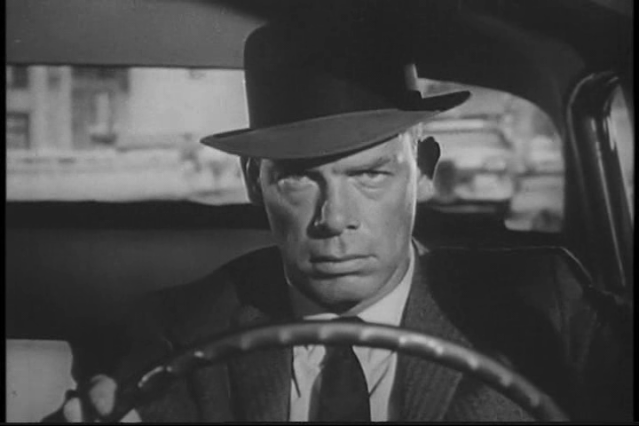 Wow , a treasure trove of unwatched pieces of Lee Marvin, how cool is that! You can watch episodes on the internet or buy a 16 dvd set of the entire series. I leave that up to you, how big a fan of Lee Marvin are you? Here’s a litmus test. Anyway it looks like they shot some second unit in Chicago, Lee’s big Ford barrelling around the city, so he could do some voice over, then cut to a process shot of him driving in front of projected footage of Chicago streets while he continued his expository VO. Then onto the sets of Revue, a Hollywood TV production company, where Lee would slug it out with some gangsters and then to satisfy his fan base’s bloodlust blast someone with his 38 police special. 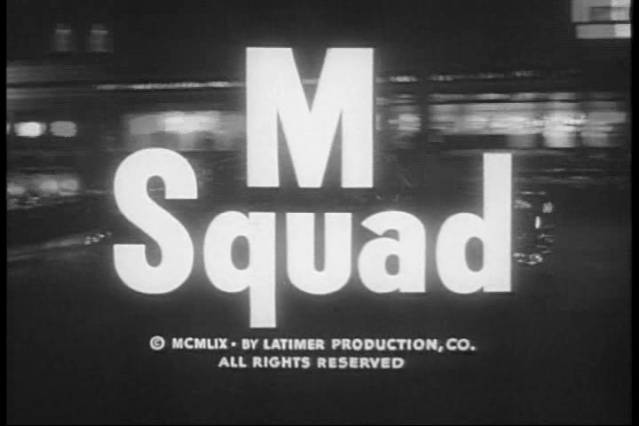 I guess Revue later became Universal Television, where Leee Marvin would star in the first 2 hour movie made for Television, Ernest Hemingway’s The Killers, you can read about that here in a previous post. That’s probably what got me on this Lee Marvin kick in the first place.